Our Promise: We’ll Take the time and do the work necessary to understand you as an individual and to do our best to help you achieve and maintain optimal health. Dr. Miller, a Northwest native, earned a Doctoral Degree in naturopathic medicine from Bastyr University in 1985. 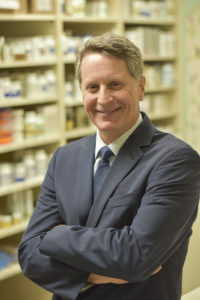 He then established the Holistic Health Clinic, where he serves as the Clinical Director in addition to delivering primary care and naturopathic specialty care services to individuals of all ages and for all conditions. Dr. Miller is committed to providing the most effective acute and chronic disease resolution oriented care available anywhere. His passion for natural medicine is witnessed daily by his enthusiasm and desire to educate and empower each patient to reclaim their health. Dr. Miller centers his care on proven diet and lifestyle strategies that are among the most important new medical innovations. His clinical interest has evolved from providing general medicine and women’s health care services, to include much needed services for men. His skilled use of natural hormone therapies for both men and women has been instrumental in helping his patients lead more productive and vibrant lives. He is a member of the Washington Association of Naturopathic Physicians, contributes articles to professional newsletters, and lectures to audiences, both publicly and professionally. He also provides a certified residency training experience to newly licensed doctors. Dr. Miller enjoys many outdoor activities found here in the Northwest, from hiking and snow skiing, to fishing and water sports. Dr. Judah has over 25 years of experience working in the medical field. She earned her Bachelors of Science degree from the University of Washington in Microbiology and Immunology. Prior to earning her doctorate in naturopathic medicine from Bastyr University, she worked as a medical technician. After graduation, she became board certified to practice medicine in Washington. Her previous experience working in hospitals solidified her belief in the importance of treating the whole person, not a set of symptoms or lab results. By combining the objective medical data with a thorough grasp of the individual’s personal history, she can then outline a personalized long-term health plan that will assist them in both their short and long-term health goals. Dr. Judah provides naturopathic primary care to patients of all ages and with any health condition. She is especially interested in hormonal issues and women’s health, from menopausal and menstrual disorders, to preconception and postpartum care and is skilled in the use of botanical medicines and bio-identical (natural) hormones. She also enjoys working with children and families–realizing that good health is easiest to maintain when the whole family is involved. In her free time, she enjoys gardening and spending time with her husband, three adult children and their growing families. Dr. Scronce grew up in Charlotte, North Carolina. Her interest in medicine started in high school after she realized that her love for modern dance was not going to mount a career. She holds a dual bachelor’s degree from Duke University in biology and religious studies with a focus on Southeast Asia. 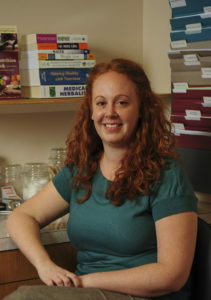 While studying abroad in India, she was introduced to many forms of healing traditions including naturopathic medicine. After completing her bachelor’s from Duke, she relocated across the country and received her doctorate in naturopathic medicine from Bastyr University. She then completed a two-year residency at the Holistic Health Clinic and continues to practice here as an associate physician. Dr. Scronce invites patients of all ages, but especially enjoys working with children, adolescents and young adults as it offers an excellent opportunity to promote lifelong habits that ensure good health. She has experience with family planning and preconception counseling, fertility enhancement and supporting women throughout their pregnancies with diet and supplemental support. Her primary clinical interests include women’s health, pediatrics, hormone balance, mood balance, detoxification and weight loss. She encourages longstanding, sustainable changes in her patients by focusing on education and self-empowerment. In her free time, Dr. Scronce enjoys camping, yoga, international travel, photography and cooking delicious meals with local foods. 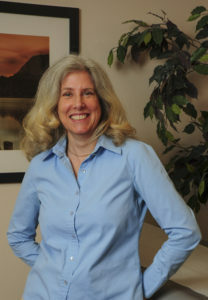 Dr. Julia L. Miller, is a Washington native and outdoor enthusiast. She completed her bachelor’s degree at Seattle University where she also ran competitively on the varsity track and cross country team. As a scholar athlete, she applied her long time interest in medicine to her physical fitness strategies. Before starting her doctoral program she took time to work and volunteer in the medical field which solidified her desire to become a naturopathic physician. 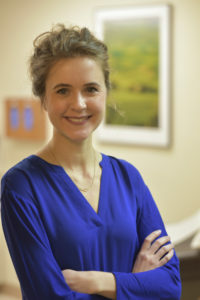 She received her doctorate in naturopathic medicine from Bastyr University and underwent a primary care residency, which focused on men’s health, at the Holistic Health Clinic. Dr. Julia welcomes any patient with a desire to build or rebuild their health. Her primary interest is in diet therapy, the most effective intervention aimed at resolving disease. Conditions she especially focuses on are hormone irregularities, chronic fatigue, hypertension, high cholesterol, diabetes, heartburn, IBS, Crohn’s and colitis. Weight loss, detoxification, and food intolerances are other areas she excels in. She can prescribe a variety of contraceptive options as well as provide intrauterine devices (IUDs). With her free time, Dr. Julia enjoys running, hiking, snow sports, and water skiing when she can get someone to take her out on their boat! The Holistic Health Clinic is a nationally accredited residency training site for new naturopathic doctors. Our resident physicians assist your primary doctor in many ways, improving the quality of your care. Want to join our team? Fill out the application below!